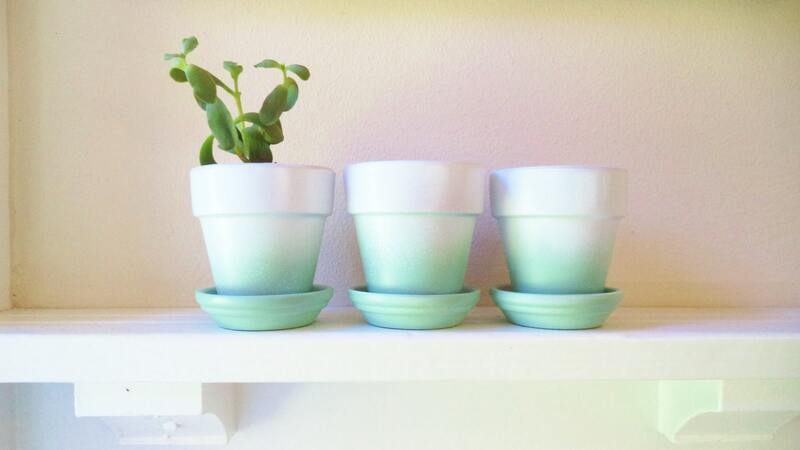 These are 3" terracotta pots made modern with my hand painted ombre finish! I love the combination of mint and white! Each pot has a hole for drainage... You will receive the set of 3 pots and 3 drip plates. Perfect for small to med succulents, cacti, herbs , flowering plants pretty much any little growing green friends you want to place in them! Super cute for re-purposing too.... toothbrush holder, pencils, paint brushes, makeup brushes, candles, ect. Please feel free to request other colors and see my planter section!! 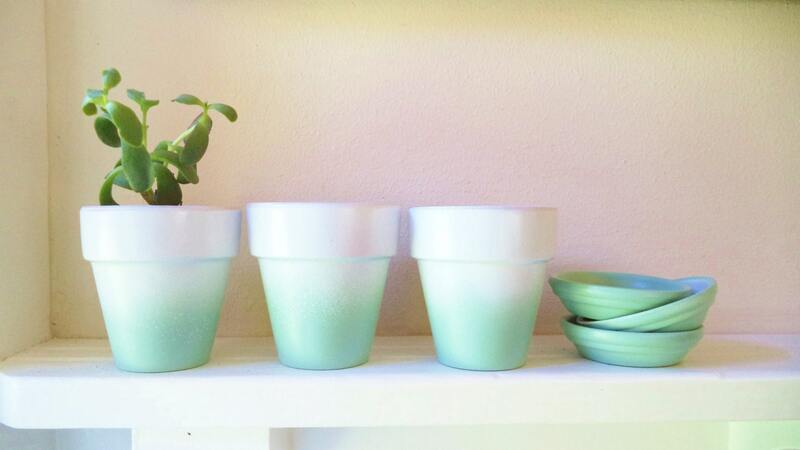 Love my mint ombré planters...perfect for succulent or air plants! Really pretty! Does have strong paint smell so it needs to air out for a while before using inside. Exactly as pictured. 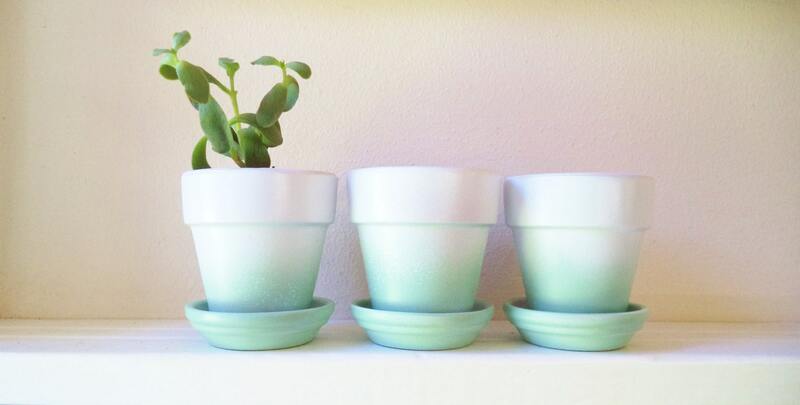 These pots are absolutely adorable and perfect for my succulents!